∼Sponsored post: Gemtrack made us a complimentary slow travel plan so that we could test it out and write about our experience. The views shared in this post are 100% our own. 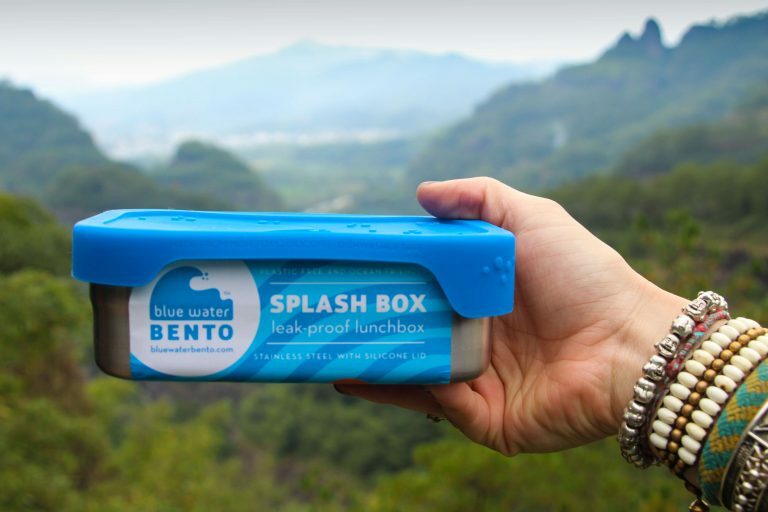 We only promote companies who share our values on environmental stewardship and promise to always give our honest opinion on products and experiences. Do you scour guide books like Lonely Planet and Rough Guides? Search Trip Advisor for “best hostels in (insert destination)”? Scroll through the Instagram feeds of popular travel influencers looking for idyllic destinations? We know how it goes trying to plan for a big trip. You’re going somewhere you may have never been before, you want to know about every hotspot, and you don’t want to go home feeling like you missed something major. Trust us, we know the feeling. In the past, we’d spend hours doing all these things trying to put together the perfect travel itinerary. Were our trips amazing? Of course! How can you go to Bali and NOT have an incredible experience? But we often felt that our itinerary was tailored to the masses. We were just another drop in the sea of backpackers following the same travel routes as thousands before us. Our plans lacked a certain, shall we say, individuality. We accepted this to be the inescapable reality of travel- forever destined to scour the internet with a finer comb in search of hidden gems and unique experiences. 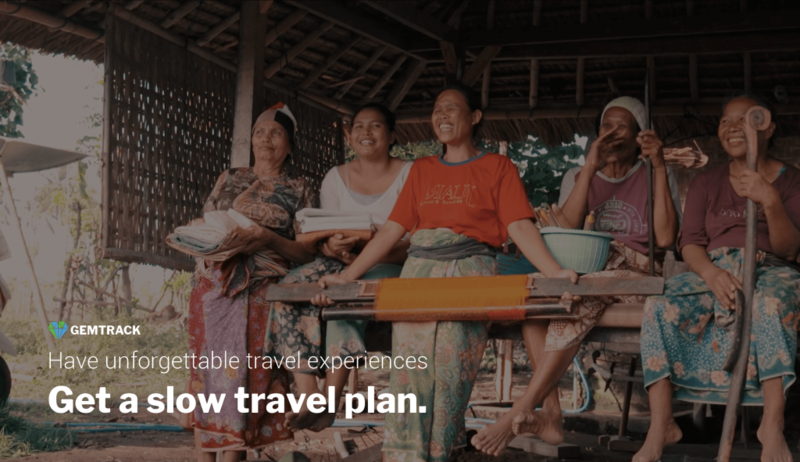 However, our whole perspective on travel preparation and having meaningful travel experiences changed dramatically when Gemtrack Travel reached out to us about testing their new customized slow travel plans on our recent trip to Lombok. What we experienced was a revolution in travel planning. A slow travel plan from Gemtrack is a customized travel itinerary tailored to your personal interests. Experts with years of experience living in Lombok meticulously crafted our plan. 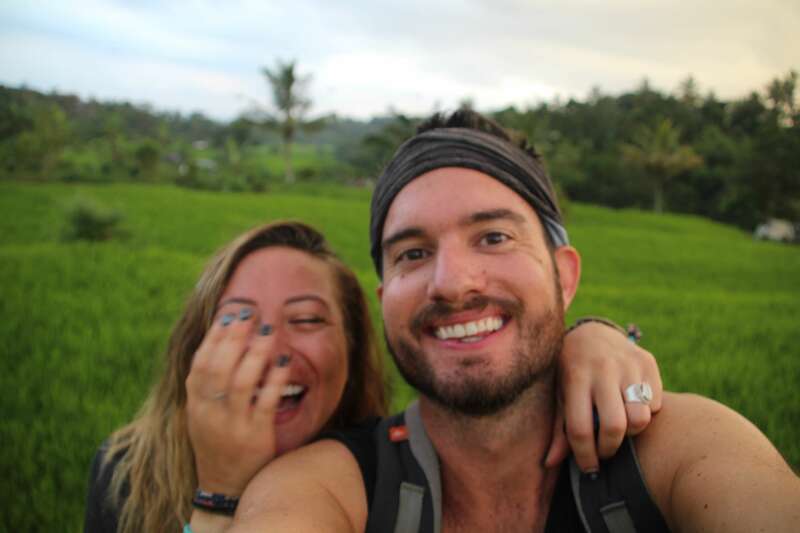 Having been to Indonesia several times, we can confidently say that traveling to Lombok via our slow travel plan was the most amazing trip we’ve ever had. Gone were the hours of research and planning. Instead, we were free to live totally in the present moment and fully enjoy every second of our trip. Each stop on our slow travel plan was INCREDIBLE! We told Gemtrack what we were looking to get out of our time in Lombok and they truly knocked it out of the park! From staying in a luxury eco-dome, to foraging for our own breakfast at an organic farm, to living like a local and soaking in sunsets at a bus bar parked on the beach. This was a travel itinerary designed purely for Sam and Ashley. Now that we’ve experienced what it’s like to have a slow travel plan in our pocket, we’re hard-pressed to imagine traveling any other way. What exactly is a slow travel plan? A slow travel plan is an insider’s destination guide specifically catered to your likes and interests. It’s the antithesis of a Lonely Planet guide. Instead of a broad regional overview to be utilized by tourists en-masse; a slow travel plan is a highly detailed guide specially designed for you! It serves as a road map for your trip, with unique places to stay and awesome activities to do while you’re there. The plan details the places, experiences, and people that will resonate with your vibe and personality. For each stop on your plan, you’ll get a backstory on the place and the people behind it. We loved that our slow travel plan was totally flexible. The itinerary outlines your trip with suggested lengths of stay, but you aren’t locked into anything. If you get somewhere and love it, you can stay longer. Or, if you end up not liking something (for example, if you thought a yoga retreat would be great but then come to discover you actually loathe yoga), you can move on to the next stop. The slow travel plan also comes loaded with helpful information on how to get around. Gemtrack details the best way to get to from place to place and what you should expect to pay. We really appreciated this aspect because we didn’t have to spend time bargaining around for the best rate. A slow travel plan is an insider’s guide of hidden gems, delicious restaurants, and unforgettable experiences crafted specifically for you! One thing you’ll notice is that Gemtrack only offers plans for four locations: Sri Lanka, Goa, Bali, and Lombok. Gemtrack does this because they aren’t trying to ride the current travel buzz. They aren’t interested in creating plans for travel hotspots currently trending on social media. Gemtrack offers plans in these four locations because they know the people and the areas well. Their goal is to connect you to visceral, authentic travel experiences that will stick with you for years after you leave. Getting your own slow travel plan is super easy. To start, you go to their website and provide your name and email. There’s also the option to leave a short message. It’s helpful for the Gemtrack team to let them know when and where you’re going and for how long. From there, Gemtrack will contact you and schedule a time for your intake call. On the call, they take time to get to know you, your likes and interests, and what you’re looking to get out of your trip. They recommend a minimum of three weeks for their itineraries but can make a custom slow travel plan for any length. The Gemtrack team did an awesome job of weaving our interests into our slow travel plan. We are big on sustainability and environmental stewardship; as fellow eco-warriors, they worked those values into our plan in ways we didn’t expect or even realize at first! For example: we told them that we try to eat vegetarian as much as we can. 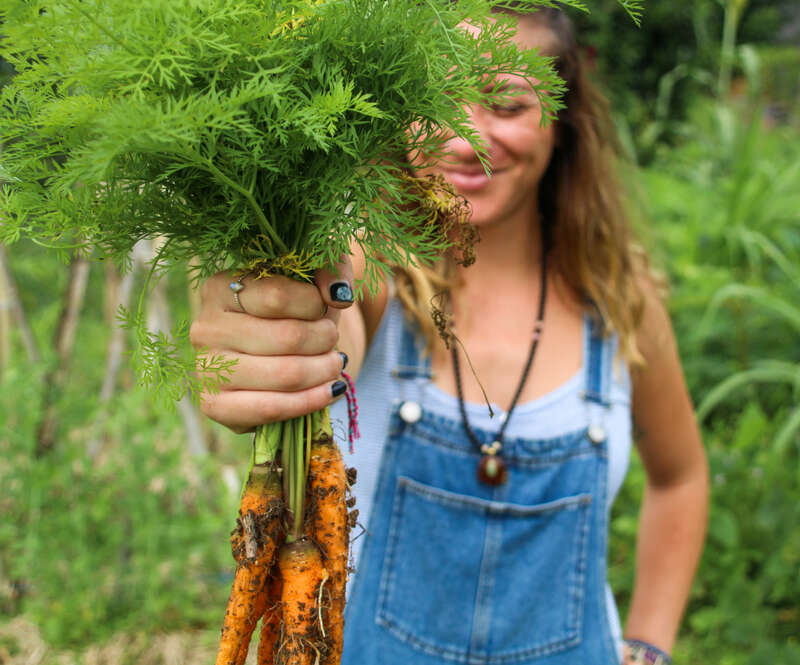 When we received our plan, it included suggestions of the best vegan/vegetarian restaurants as well as a stay at the only organic permaculture farm in Lombok! Visit Gemtrack’s Website to get more info on your very own custom-made slow travel plan! About a week after your call, Gemtrack will send an email with your personalized slow travel plan. 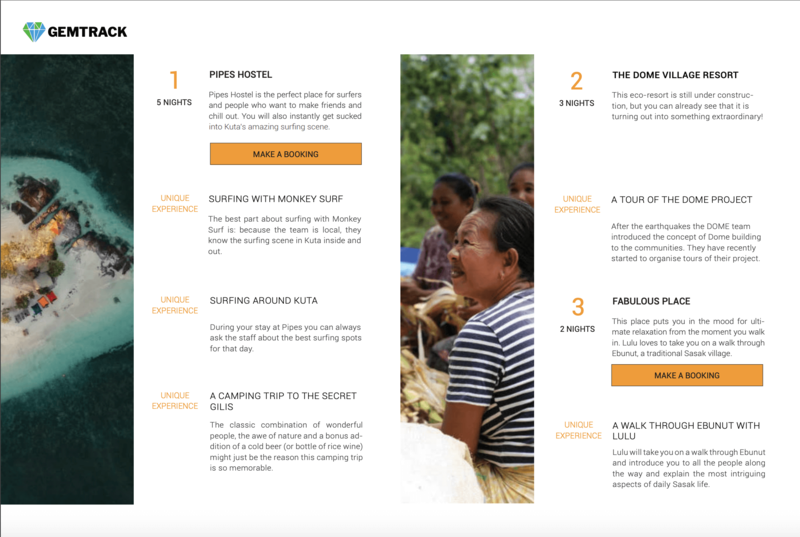 The plan itself is a beautiful pdf complete with an outline of your trip, an overview of the stops, and clickable links to make bookings and access maps. Gemtrack has a deep commitment to supporting the businesses and individuals they include in their slow travel plans. When you make a booking through the plan, 100% of the money goes to the business. This keeps your tourism dollars in the local community. Not charging a booking fee helps these businesses continue doing all the things that make them so gem-worthy! Each stop has a detailed guide of what you can look forward to during your stay! Along with the nitty-gritty details of your upcoming adventure, the pdf is chock-full of images and stories to ignite your wanderlust. The pdf file works seamlessly in mobile format, which we absolutely loved. You literally have an insider’s pocket guide of hidden gems in your area at your fingertips whenever you need it! It’s as simple as that. Visit the website, have your intake call, and a few days later you’ll have an insider’s guide to your destination made specifically for you! 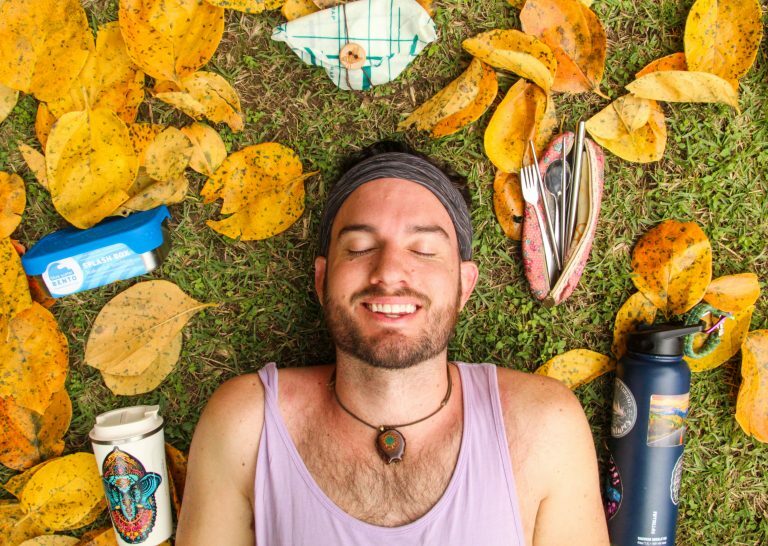 Totally loving the slow and sustainable lifestyle! It saved us time and effort. We didn’t have to spend any time searching the internet and deciding where to go. Gemtrack knows Lombok way more intimately than we do. They were able to put together a far better itinerary than we could have on our own. All we had to do was show up and enjoy. This also allowed us to slow down both mentally and physically and fully enjoy being in the present. We didn’t feel the pressure to rush around from place to place trying to hit everything on our bucket list. It fit our personalities perfectly. What made our trip to Lombok so special was how well our plan fit us. Our interests, passions, and beliefs perfectly matched our plan. We wanted to learn to surf, so a surf school was included. We care deeply about the environment and the impact travel is having on it. Thus, our trip included earthbag eco-domes, a permaculture farm, and an eco-hostel on the beach. On an even deeper level, we told Gemtrack that we dream of someday opening our own eco-stay. They took this into consideration and set us up with people who had started similar businesses on Lombok. We got the opportunity to pick their brains, learn about unforeseen pitfalls, and even look at plots of land! These were valuable insights and relationships we never would have had without our slow travel plan. Every place had a story. Each stop on our trip had something or someone that made it unique. Everything from a surf school owner turning his shop into a zero-waste store, to a French woman preserving the ancient traditional art of Sasak sarong weaving. Each place had something or someone beyond the tropical setting that gave it a certain “mojo”. Will’s bio in our slow travel plan led to several long conversations about the joys and challenges of building a hostel. 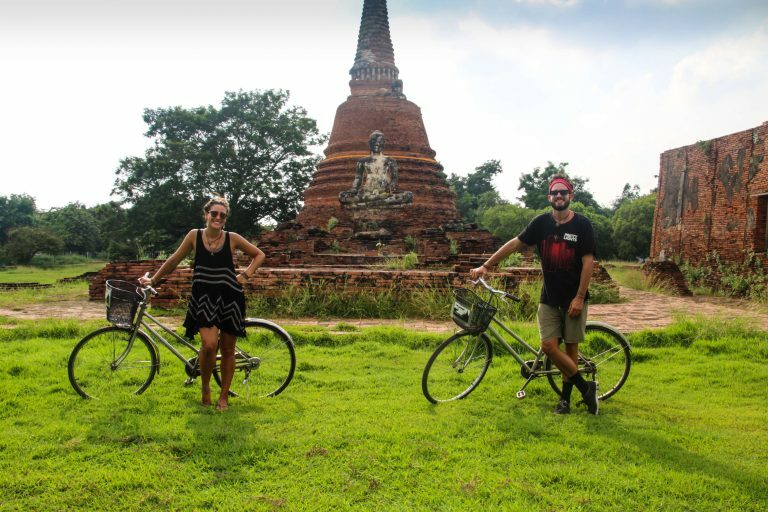 We loved that our slow travel plan helped us bypass the superficial hostel interactions we often experience time and time again. “Where are you from? How long have you been traveling? Where have you been to? Should we take some shots?”. We’ve all had these homogenous conversations. While they are great for meeting people in a new town or a new hostel, they don’t often lead to deeper, meaningful connections. Our slow travel plan put us in situations to have enlightening conversations with people who share our passions. Every stop on our itinerary had a backstory of the place and the people behind it. Included with each gem was a short bio on the owner or a vibrant employee who worked there. We already knew a little about them, which made it that much easier for us to connect and share our own inspirations for why we do what we do. As we said earlier, the plan is flexible, you aren’t locked into anything. The slow travel plan is more of a personal guidebook than a set-in-stone travel itinerary. 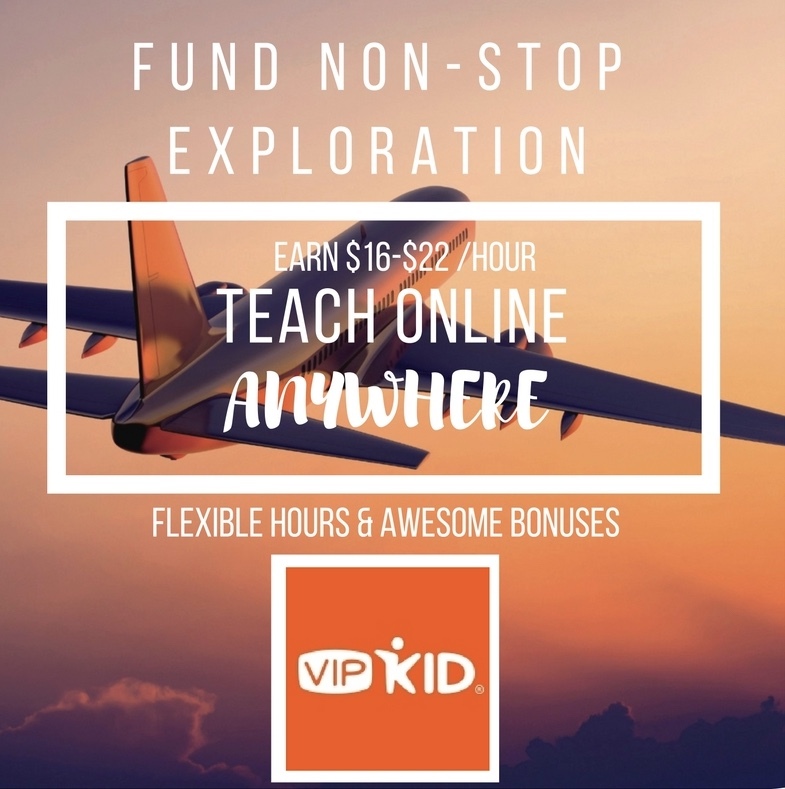 You have all the benefits of a travel agent or premade itinerary without sacrificing the freedom and control of your own trip. This was one of our favorite parts of the plan. Honestly, if we had to pre-book everything, we wouldn’t have enjoyed it as much. The flexibility fit perfectly with our spontaneous nature. For example, we absolutely loved our stay at Lombok Organic Farm. It was the highlight of our trip. We couldn’t get enough of picking our own veggies, wandering through rice terraces and strolling through the monkey forest. We decided to stay there three extra days and skip a stop later on. The flexible nature of the plan allows you to effortlessly make tweaks and changes. 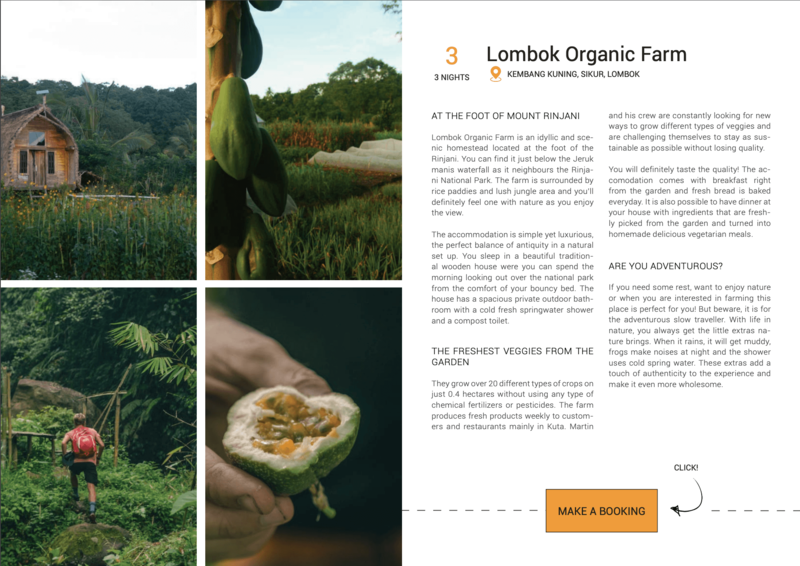 We loved the digital detox and reconnection with nature at Lombok Organic Farm. Slow travel is inherently more sustainable. When you travel slow, you naturally have a smaller carbon footprint. With a slow travel plan, you’re staying in places for 3, 4, 5 days or longer. You’re not bouncing from place to place taking a bus or flight every few days. They organize your trip in the most efficient way possible. You’re not traveling back and forth across an island from one stop to the next. The trip is laid out to have as little travel as possible from stop to stop. The regions Gemtrack offers plans for are relatively small, with the largest being Sri Lanka. You could spend months on a slow travel plan and never take a flight. Another huge component of sustainable travel is the impact you have on local communities. Every gem on the GemTrack network is locally owned and operated. Your money goes directly into the local economy and GemTrack never charges a booking fee to their partners. 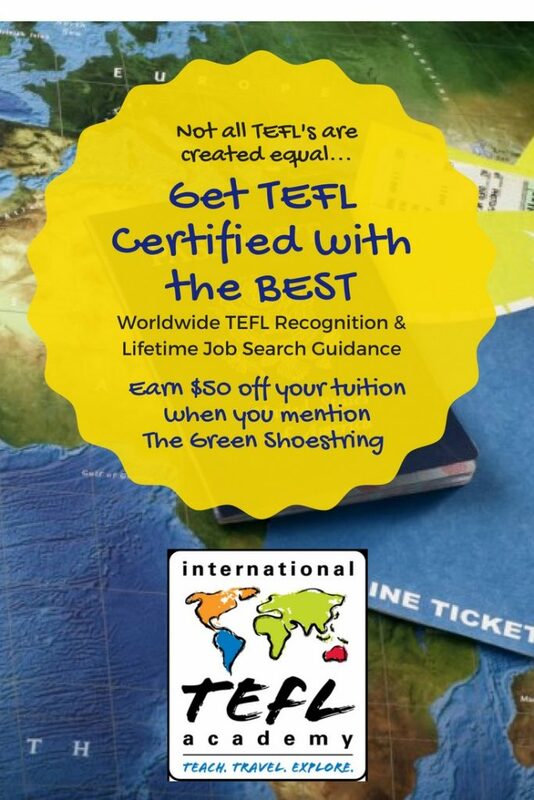 You also have the opportunity to experience each destination on a deeper level. On our last night in Kuta, our surf instructor invited us to his house for a traditional Sasak barbeque. We spent days with them trying (but mostly failing) to surf, and drinking beers when the water was flat. Through our slow travel plan, we were able to form an awesome friendship that never would have happened if we were just passing through. Our plan had an emphasis on culture. One of our favorite things about travel is experiencing different cultures. Our slow travel plan had an incredible emphasis on culture. We learned about Sasak black magic, the confluence of religions on Lombok, ancient traditional handicrafts like basket and sarong weaving, and so much more. During our stay at Fabulous Place, the manager LuLu took us on a tour of a local Sasak Village and explained their customs and ways of life. While at Dome Lombok, we visited villages damaged by recent earthquakes. We got to meet the families whose destroyed homes Dome Lombok replaced with earthquake resistant eco-domes. On each stop, we had a unique cultural experience that colored our trip with a deeper understanding and appreciation of the local community than we’ve ever had before. Check out the incredible work The Dome Project is doing to build homes for earthquake victims on Lombok! It’s easy to use and follow. The whole design of the plan is easy to use and understand. The plan starts with a map and an overview of the itinerary to help you visualize your trip. Then, there’s detailed information for each stop. Info on where you’ll be staying, how to get there, recommended activities and places to eat are all included. 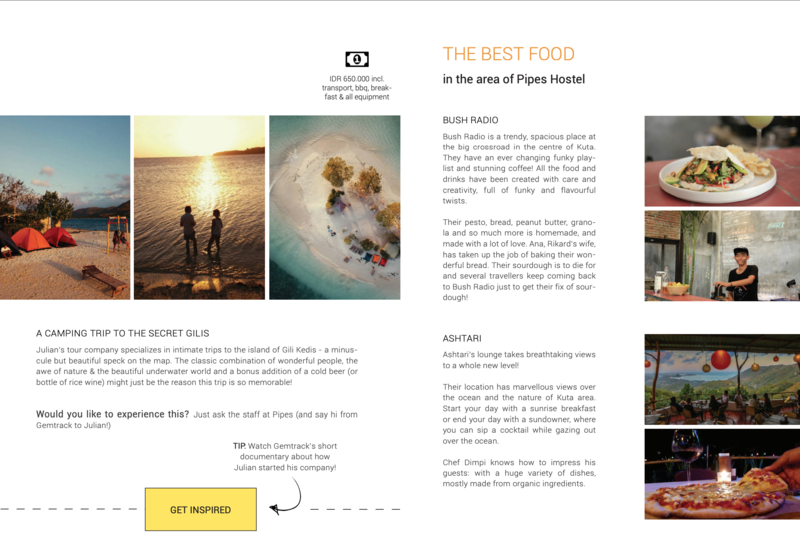 Embedded in the pdf file are clickable clicks to made bookings and access Google maps. Best of all, the plan works seamlessly in mobile format without needing a wireless connection. This is so helpful because you can save it directly on your phone and reference at a moment’s notice. Each stop has suggestions on where to eat and what to do; along with clickable links to make bookings, access maps, and get inspired! One of the coolest parts of our slow travel plan was the people we came into contact with. We had dozens of meaningful interactions, but one that really stuck with us was Lulu; manager of Fabulous Place. Fabulous Place is a charming homestay just outside of Kuta, nestled up against the local Sasak village of Ebunut. They serve you fresh breakfast daily, have two lovable dogs, and use pasta noodles for straws. Lulu responded to our booking request through the slow travel plan. She offered to meet us at her husband’s converted bus-bar for some sunset beers before heading to Fabulous. 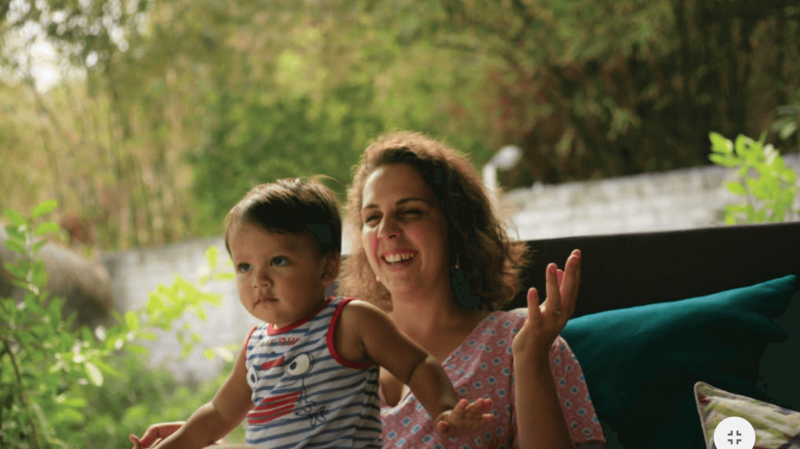 Connections with people like Lulu are what made our slow travel plan experience so memorable. Lulu has this warm and inviting aura about her that instantly makes you feel more like a long-time friend than a guest. Our plan included a short bio on Lulu and some of the projects she’s been working on in Ebunut Village. Not only does she manage Fabulous full-time; she built a library in the village, teaches weekly English lessons, and works with the women of the village to preserve the ancient art of sarong weaving. We were curious to learn more about these projects and it was heartwarming to watch Lulu’s eyes light up as she talked about Ebunut. The next day, she invited us to have coffee at her house and take a tour of daily life in Ebunut. On our walkthrough of Ebunut with Lulu, we got to experience local culture to a level of depth we’ve never had before. She introduced us to the local witch doctor, outlined the 3,000 different uses for coconuts, and showed us the hours of love and care that go into a single sarong. The people you meet, and the stories they have to tell are what make a slow travel experience so extraordinary. One of the most powerful moments was meeting the master sarong weavers. It’s a laborious process. They weave each thread into place one-by-one. The process itself is almost as beautiful as the finished product, but it’s a dying art. Women pass the tradition down orally from one generation to another. If a master weaver passes away without sharing her knowledge, a piece of the tradition is lost forever. Only a handful of master weavers remain in the village and the younger generations are less and less interested in learning. The mesmerizing art of sarong weaving. The more colors and threads; the more protective magic is imbued into the sarong. 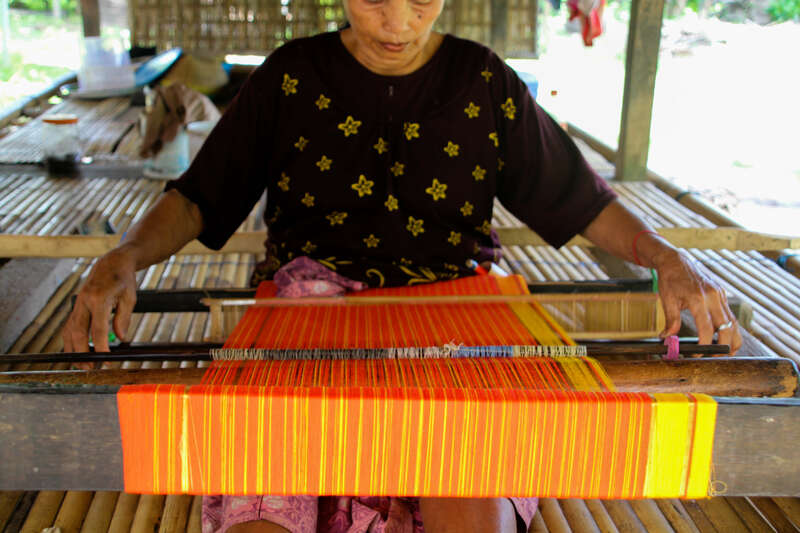 Lulu has a readily evident passion for sarong weaving, its history, and the mystique surrounding it. One of the first things she showed us was a book of different sarong styles across Indonesia. She recognized the important cultural heritage of sarong weaving and made it her mission to preserve it. Lulu learned to weave herself, helped get a new loom built, and encouraged other women in the village to learn the craft. She also works with the master weavers of the village to introduce new colors and patterns. She sells the sarongs to travelers at a price fitting the quality of the work. These sarongs are the real deal, not machine-made knockoffs people sell on the beach. Each sarong is a hand-crafted work of art. Lulu sells the sarongs for hundreds of dollars apiece; bringing money into the community and inspiring the next generation to carry on this ancient tradition. Lulu was so eager to open up her life to us and we quickly formed a bond because of it. It’s easy to see how much joy she has for her life and family on Lombok, it’s infectious! Lulu’s vibe will surely rub off on you and put a smile on your face. If you’re traveling to Kuta, we highly recommend a stay with Lulu at Fabulous Place. When you book through Gemtrack, 100% of your money goes directly to Fabulous! Our hidden bungalow in paradise! Fabulous is perfect for sustainably minded couples! Meeting Lulu was just one example of the extraordinary connections made during our trip. This is something Gemtrack offers that you can’t get anywhere else. They know countless incredible individuals in each destination. Your slow travel plan isn’t just a guide to the places you’ll go. It’s a roadmap dotted with people to connect with, laugh with, and leave feeling inspired. 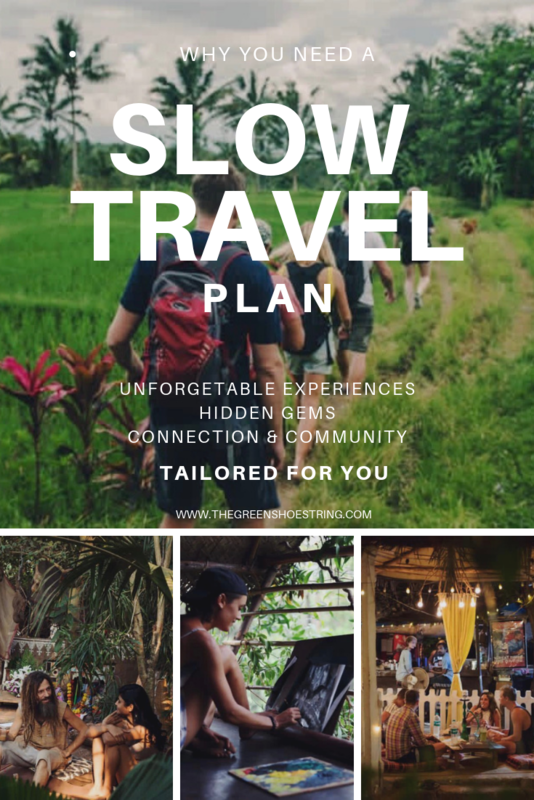 Experience Slow and Sustainable Travel: Contact Gemtrack to get started on your very own custom slow travel plan! We’ve traveled in all kinds of different ways. From sleeping in hammocks under spiderwebs to luxury AirBnbs on the beach. 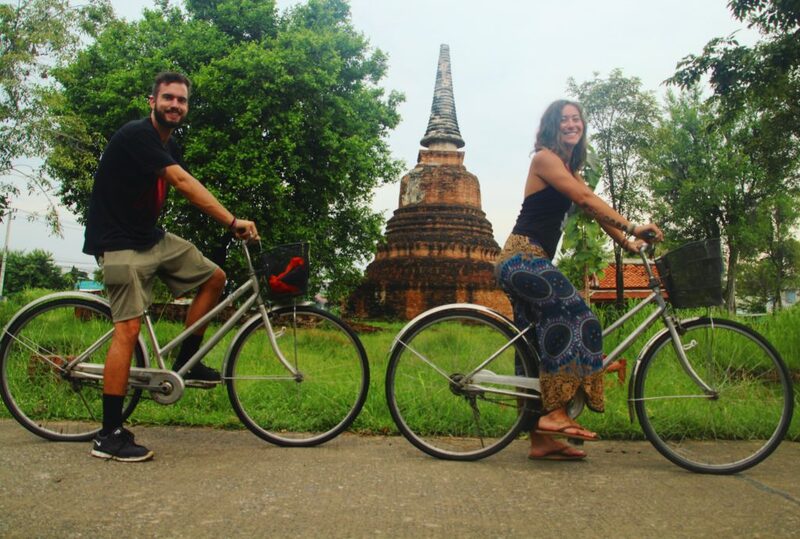 By plane, train, bicycle, tuk-tuk, and everything in-between. From mountains to beaches to jungles; but we’ve never had an experience quite like we had following our custom slow travel plan. We can’t say enough good things about our itinerary and the unbelievable job GemTrack did putting it together! Their passion for the slow travel movement shines through the attention to detail they put in each plan. The benefits went far beyond saving time and money. We traveled unburdened from stress, free to enjoy the present moment. We stayed at incredible at gems far off the beaten path. The people we met and hung out with are some of the coolest human beings on the planet. Lastly, and maybe most importantly, we left with a deeper understanding and appreciation for the local culture than we have on any other trip. We want to give a huge thanks to Gemtrack for letting us pilot their slow travel plans! 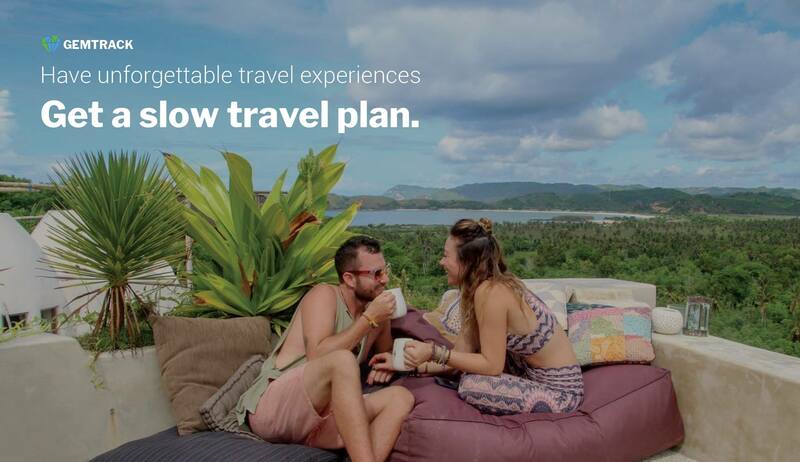 To learn more about getting a customized slow travel plan for your next trip, visit their website to get started!